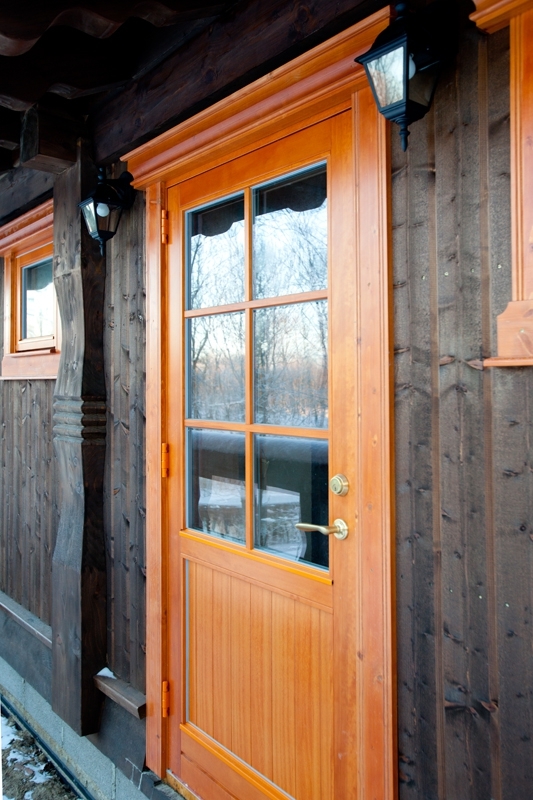 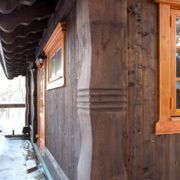 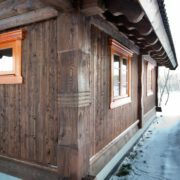 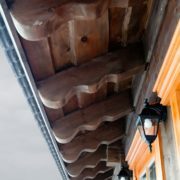 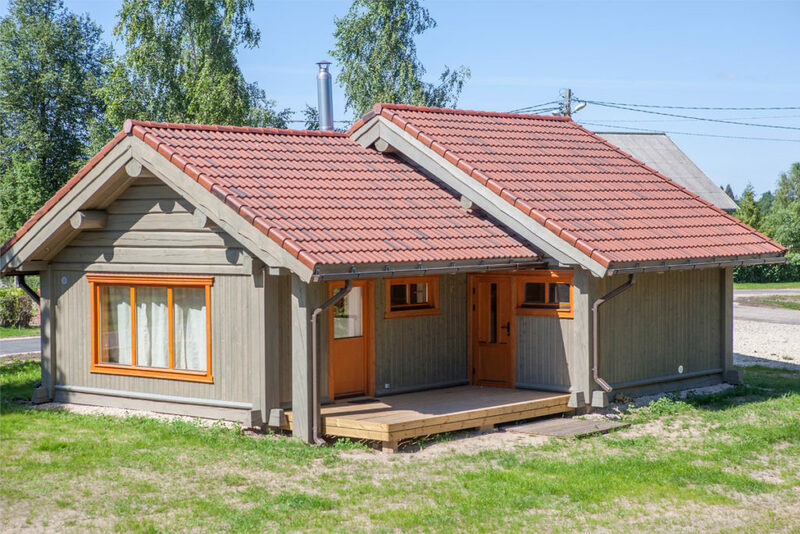 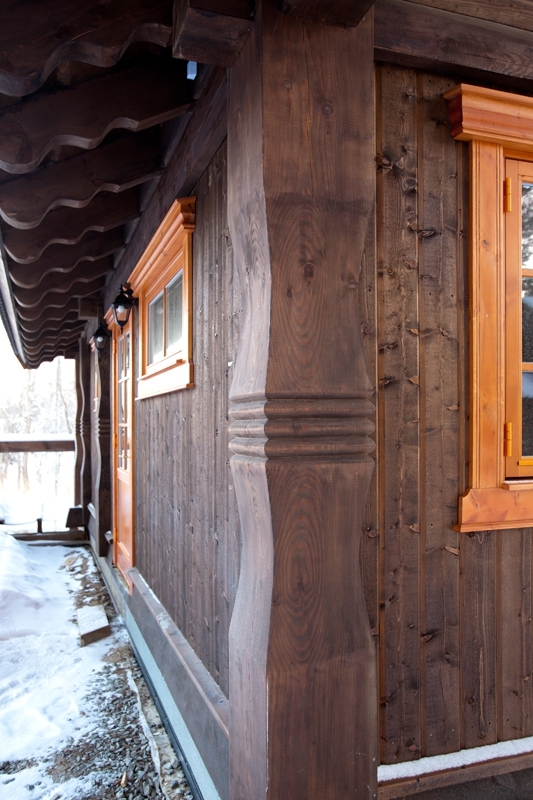 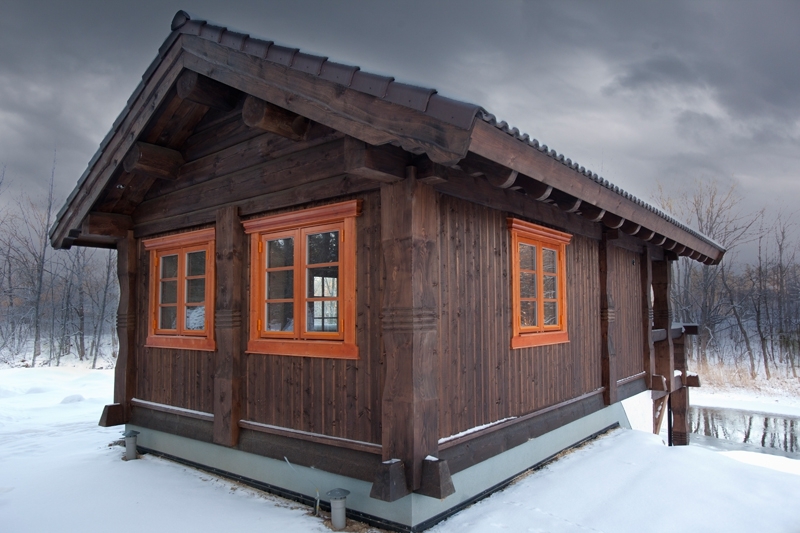 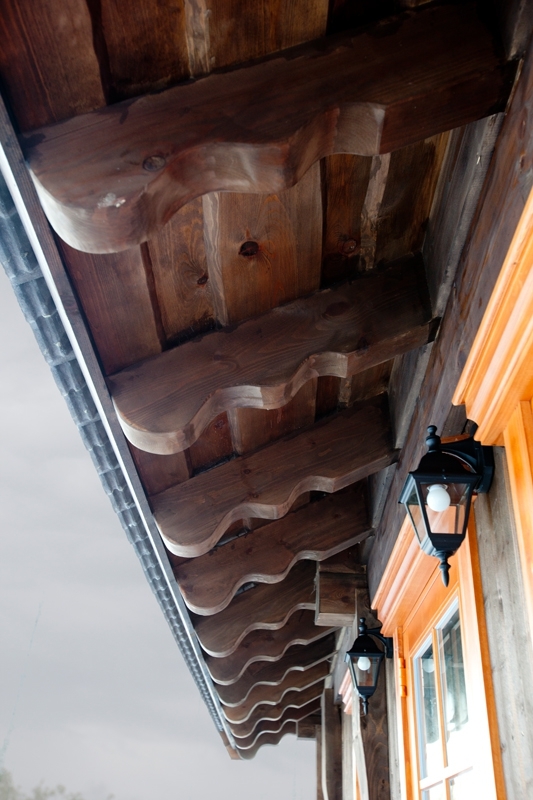 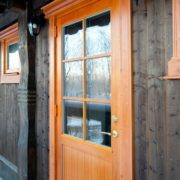 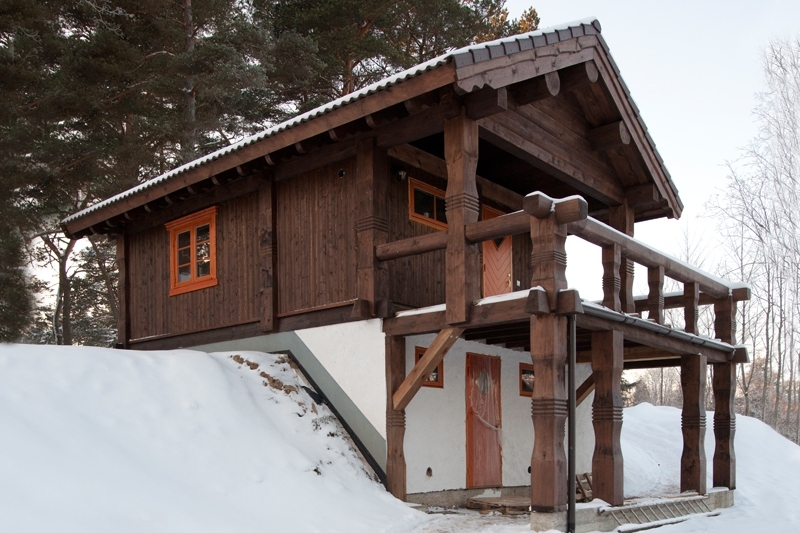 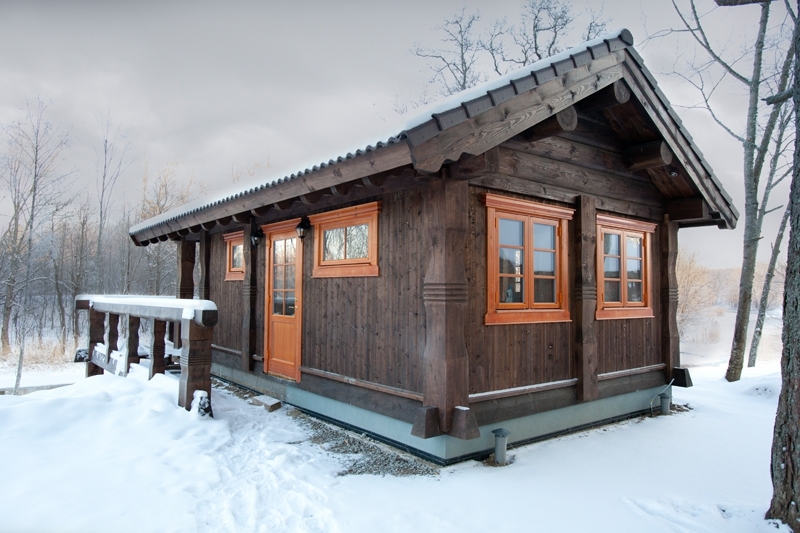 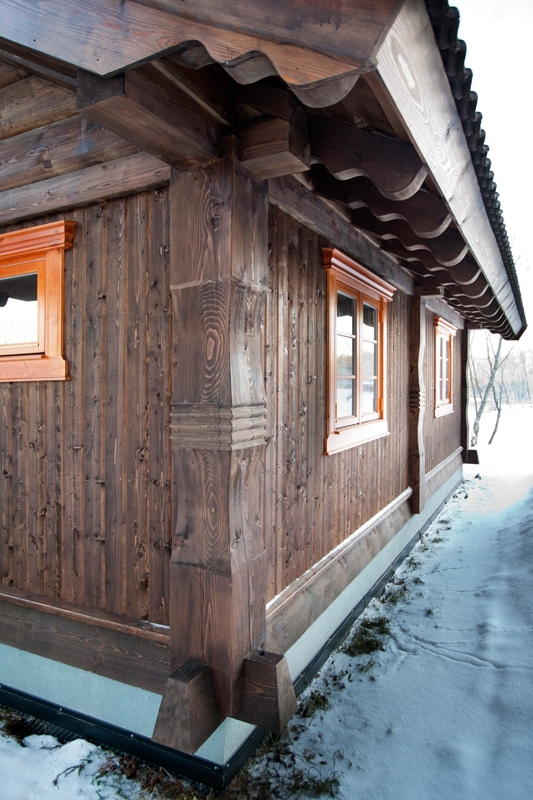 Traditional Norwegian handcrafted house where timber frame is used with log structure. 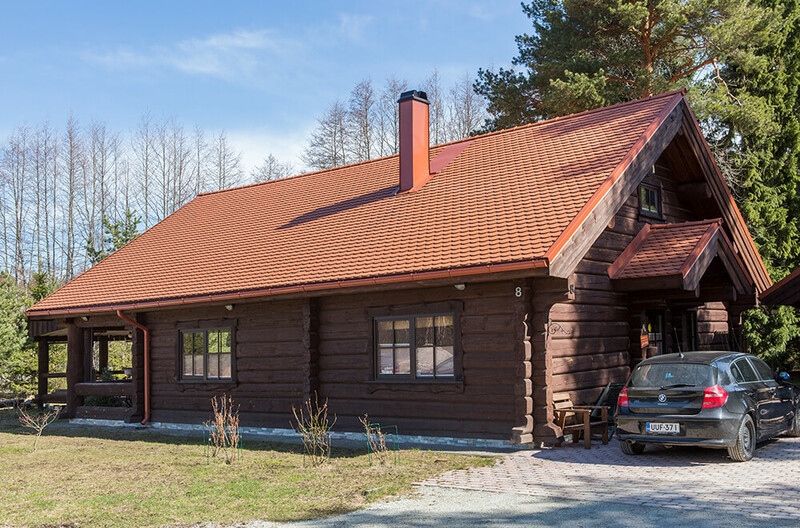 The ground floor is built of trusses and massive poles (natural, silhouette columns, and sawn posts) at the corners of the house. 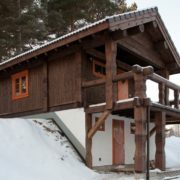 The first floor is built of edged logs. 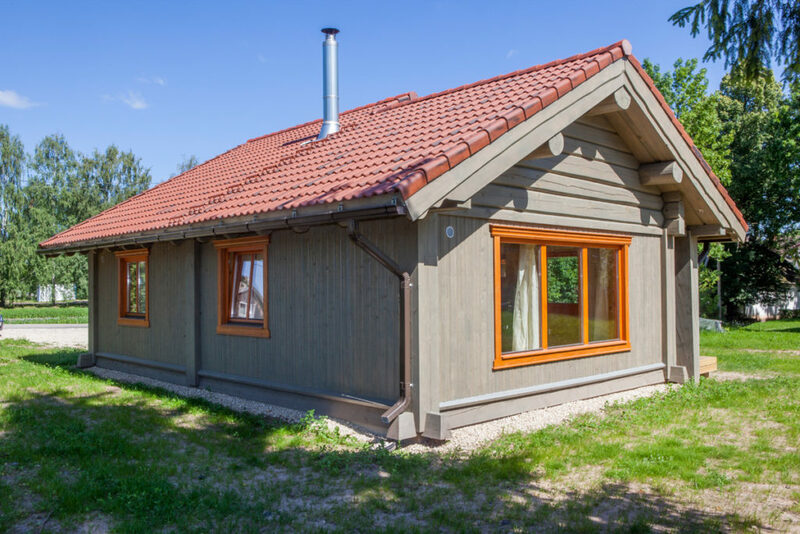 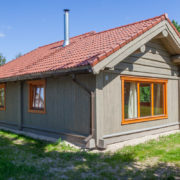 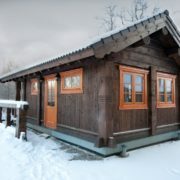 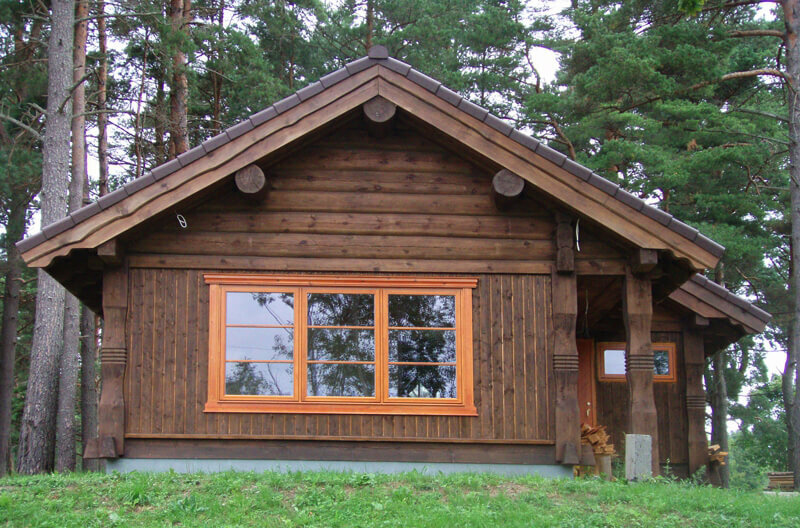 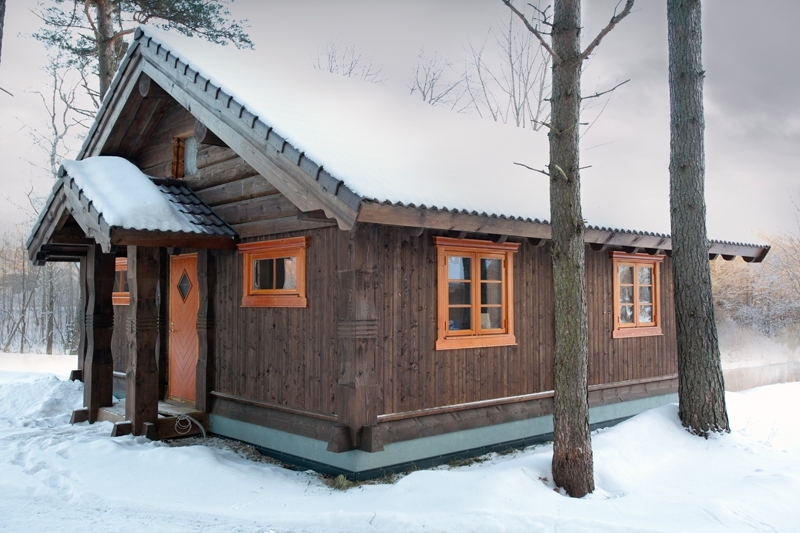 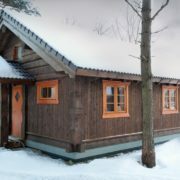 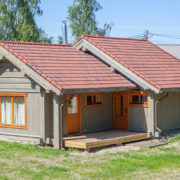 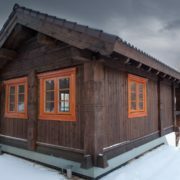 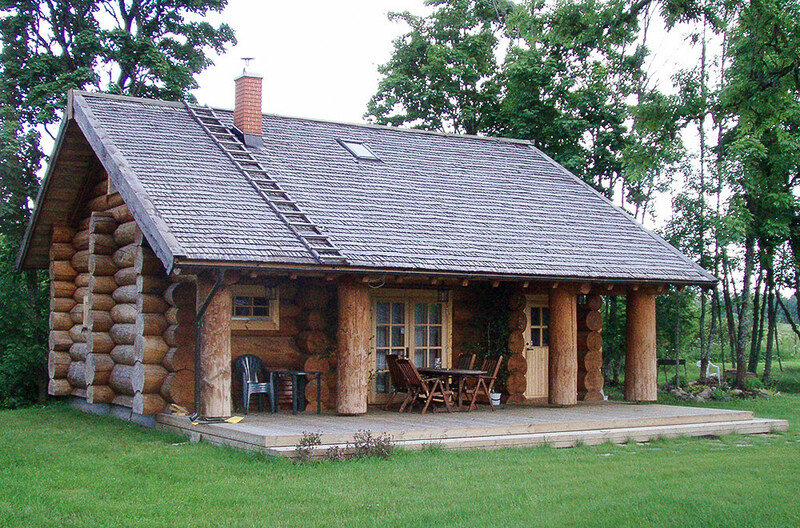 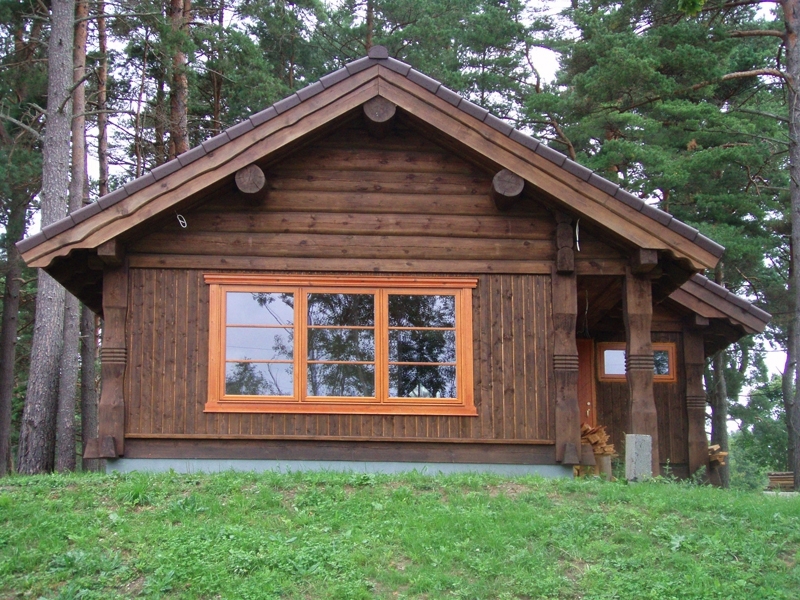 Log/frame house gives more windproof than log construction and this type of house will not have sinking problems.